Fifty years ago, Apollo 11 astronauts Neil Armstrong, Buzz Aldrin, and Michael Collins made history by landing on the Moon. Though they received the fame and adoration of the country, their voyage may never have been accomplished if it weren’t for one woman—Margaret Hamilton. One of many people behind the scenes who aided in the groundbreaking mission, Margaret specifically wrote the code that took these American gentlemen to the Moon. NASA initially reached out to MIT in 1961 for help with the Apollo program. 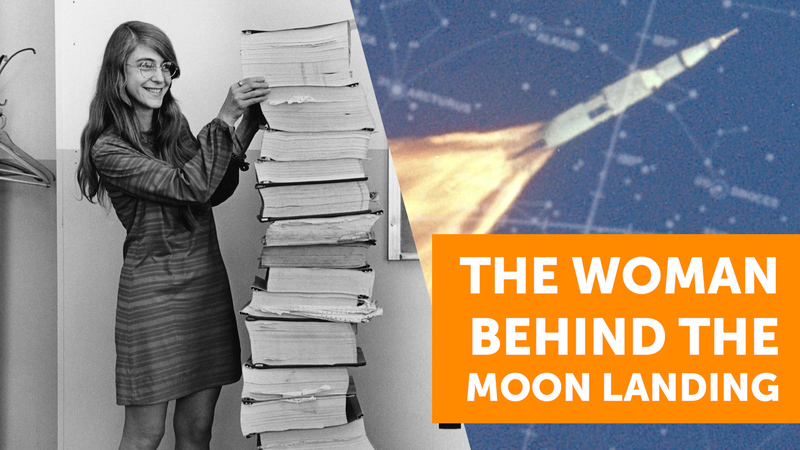 The aim was to beat the USSR in a race to the Moon, seeking expertise on building the guidance and navigation system for the Apollo spacecraft. 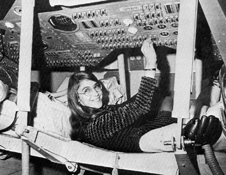 Computer programmer Margaret Hamilton, who—believe it or not—created the term “software engineering,” became head of the Software Engineering Division at the MIT Instrumentation Laboratory that developed the software for the Apollo mission. 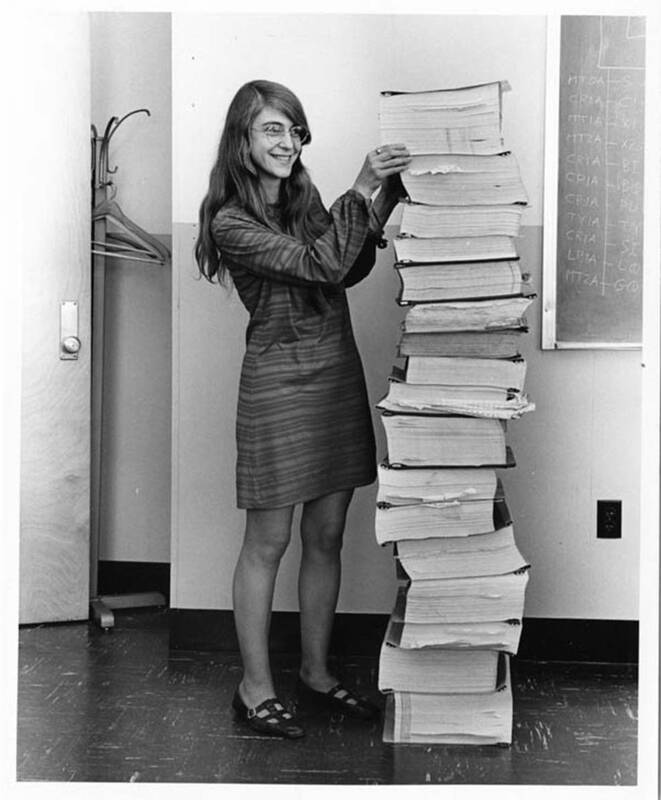 In the ’60s, computer science was still in its infancy, and Margaret’s uncompromising attention to detail and rigorous testing was essential to Apollo’s success. She understood the urgency of the mission and that there would be no second chances. She even sometimes brought her young daughter to work while she worked on the project. There were some problems during the space mission, and the computer software proved itself just moments before the Apollo team was scheduled to land on the Moon. An alarm sounded, indicating that the mission should be aborted. Fortunately, the computer software was built to perform more functions than planned. The code Margaret and her team created used a set of recovery programs to solve the problem and focus on important tasks. The guidance computer ignored less critical tasks to concentrate on steering and providing landing information to the crew. This enabled the astronauts to land on the Moon instead of canceling the approach due to technical issues. Margaret’s guidance software was built so well that all crewed Apollo missions experienced zero software bugs. The technology was later applied to Skylab, the Space Shuttle, and digital fly-by-wire systems in aircraft. Her contribution to science and engineering was so significant, NASA honored her in 2003 with a special prize, the Exceptional Space Act Award. It featured the biggest monetary award the space agency had ever given to an individual up until that time. In 2016, President Barack Obama awarded her the Presidential Medal of Freedom for successfully aiding in the Apollo 11 landing. Margaret’s work is particularly notable because it took place just prior to the women’s liberation movement. She was a pioneer in a field that even today is difficult for women to break into. As of 2017, just 15% of NASA’s planetary mission science teams were made up of women.